Early this month I was in McLeodganj. I was accompanying my sister who was in Shimla for her exams and from there we traveled to McLeodganj to spend leisurely two days in Little Tibet. Two days clearly weren’t enough especially when I was working on this post; 3 days, 6 meals and a whole lot of places to cover. So we decided to walk around as much as possible and pack in small meals at various places. 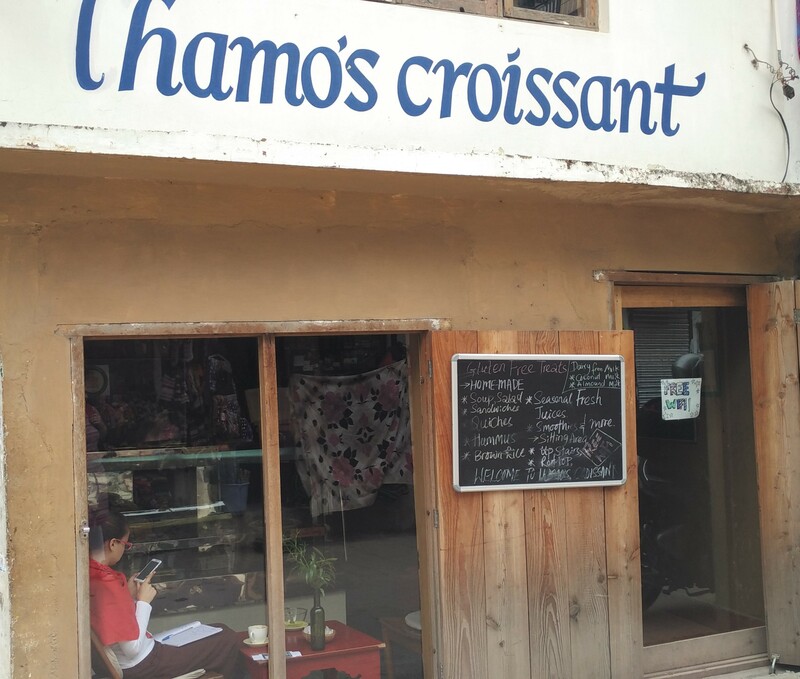 We were disappointed by a few – Tibetan Kitchen to be specific – and found a few on our own – Lhamo’s Croissants, the gem of a place. Here’s what I think are the must try places in McLeodganj. We walked past this little café in the night on the way to our hotel. It was already shut then so we decided to come back the next morning and thank god we did. 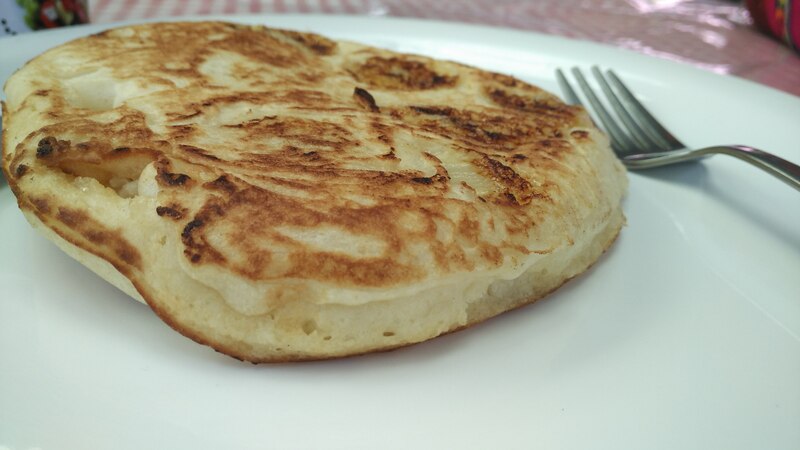 The café is run by Lhamo who is a chef and is famous for it’s gluten free breads and desserts. There’s a community table on the lower level and low seating on the upper level. 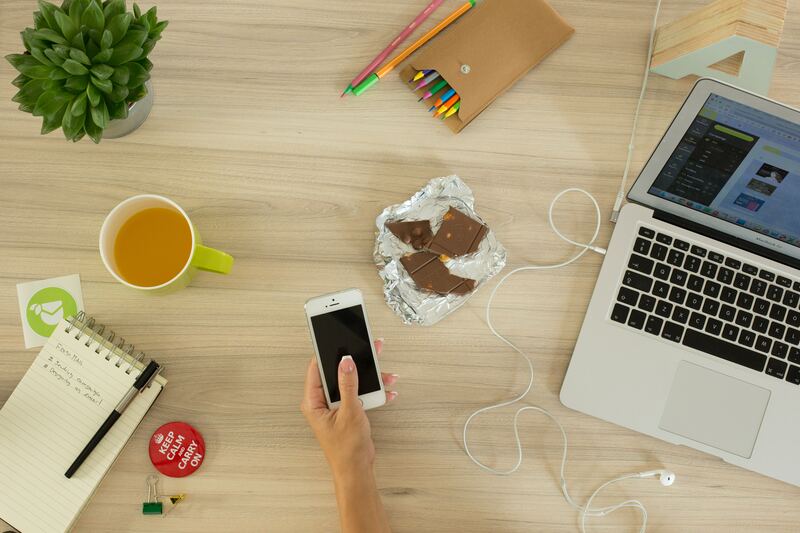 With comfortable mattresses, free wi-fi and plenty of charging points, it’s a perfect place to read or work from. You also get a view of the pretty Dhauladhar Range from the first floor. 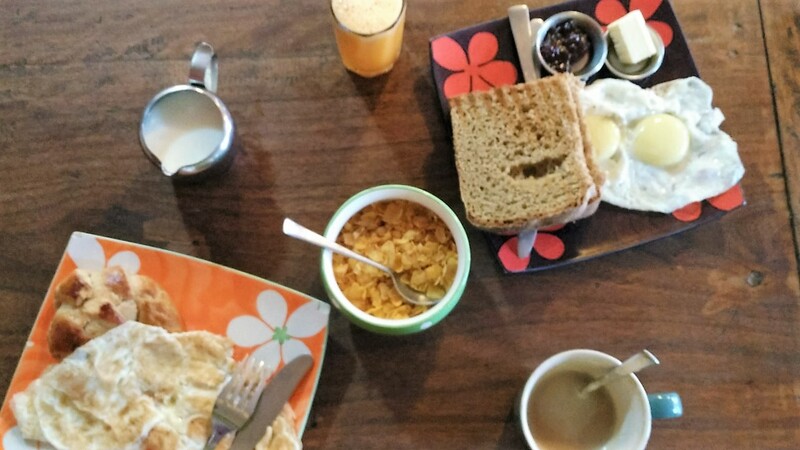 Their plain and chocolate croissants are must tries and they also serve set breakfasts of eggs, toast, butter, homemade jam, coffee – one of the best in McLeodganj, fresh juice and cereals. The smoothies are must tries and you can order yours with almond milk instead of dairy milk for a little extra cost. 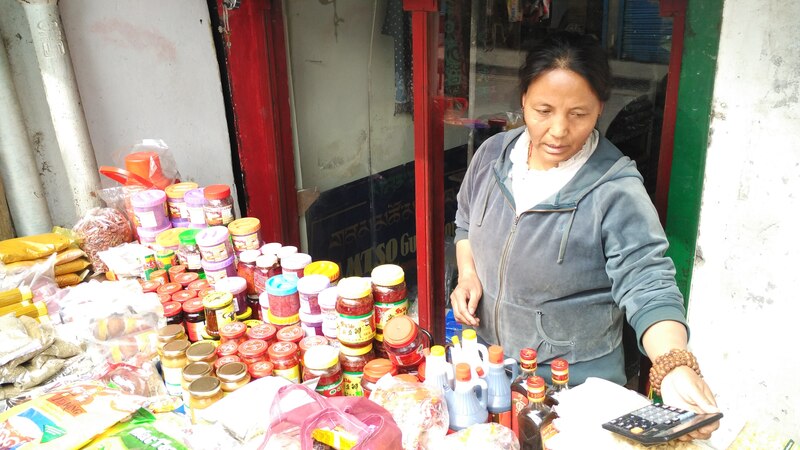 Go early in the morning – around 8.30 – and you can meet Lhamo with her fresh bag of ingredients. The whiff of freshly baked bread in that hour is enough to whet your appetite. The beautiful book cafe is a bit of a walk from the market square, but once you’ve walked down you wouldn’t want to leave the place. 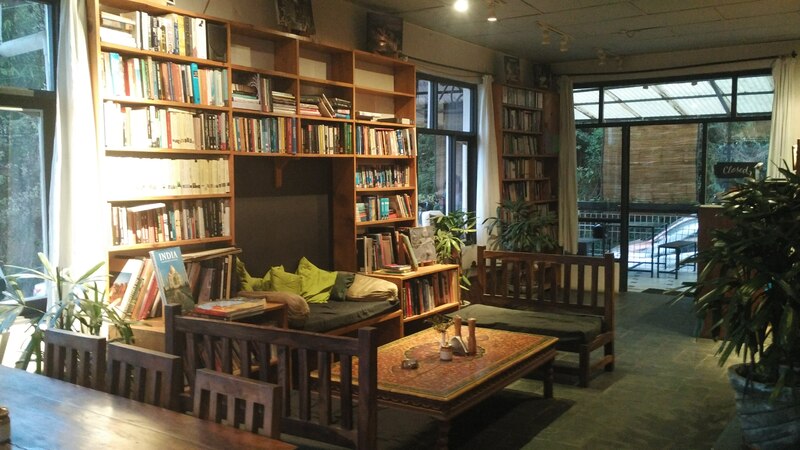 The cafe is stacked with books and has balconies overlooking the snow capped mountains of Dhauladhar, a view you’d never get tired of. The menu is small but almost everything is worth a try. Try the warm and subtly flavoured pumpkin soup and porcini ravioli – one of the best that I’ve eaten. On a cold evening their kahwa will keep perfect company to your book. Chocolate Log is highly recommended for its cakes and pastries. Unfortunately these weren’t available when we stopped by so we settled with a cup of hot chocolate and banana pancake. The hot chocolate was more like Bournvita but the pancakes were delightfully fluffy with the right amount of banana. Four out of five people on Twitter recommended Woeser Bakery to me and all for right reasons. A review on Trip Advisor says that it has one of the best carrot cake in the world and I would gladly agree. The cake is moist and so light and airy that you wouldn’t feel guilty. 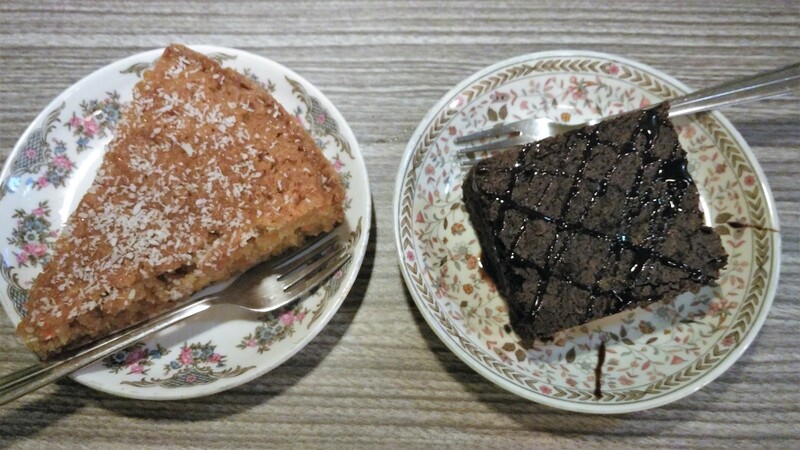 The brownies are good too and banana flapjack – oats, banana and dry fruits cake is another must try. The bakery also has coffee made with freshly ground beans and has got a small shelf of books. Woeser is shut on Mondays so plan your visit accordingly. 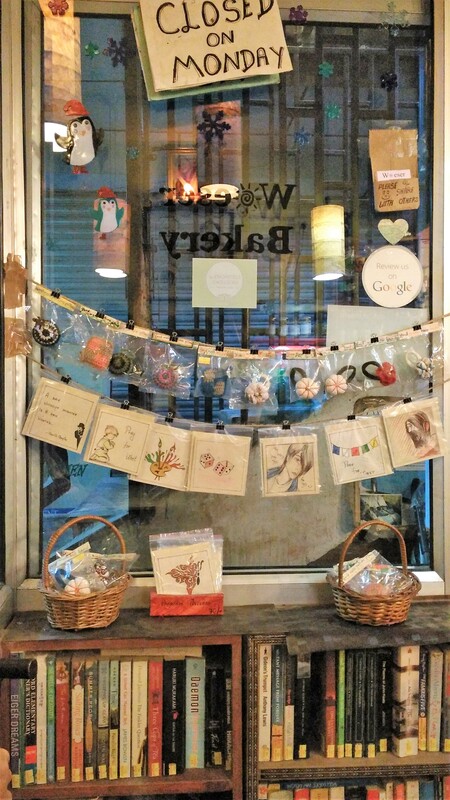 While at Woeser, we started chatting with its pretty Tibetan owner and her friend. We had one meal left and wanted to make it worth our time and appetite. We had to pick between Jimmy’s Italian – a Twitter recommendation and an obscure Korean restaurant recommended by a local. They both voted down Jimmy’s as touristy and egged us to go to the Korean restaurant Dokebi. To our delight, it was a cosy place with shelves of old books. 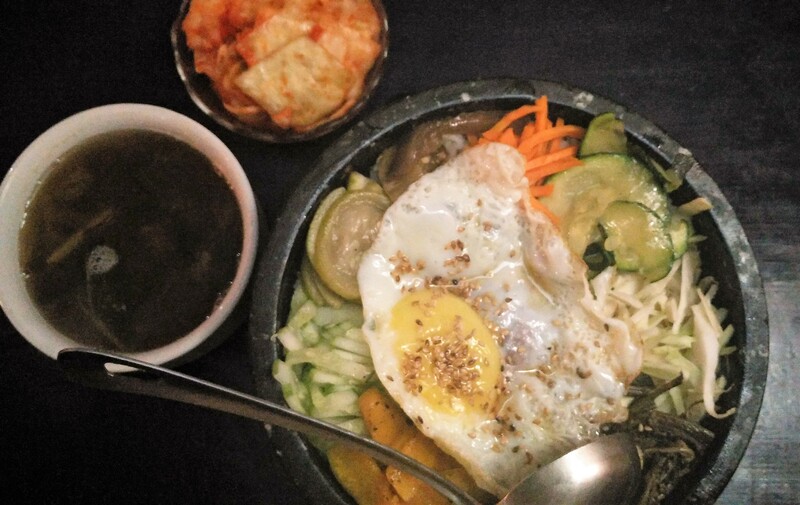 The menu is completely Korean with hot-pots, bibimbap and gimbap – Korean sushi rolls. Their kimchi is delicious and is served complimentary with every dish. Moonpeak has two sections – Moonpeak Espresso and Moonpeak Thali. While the former is highly recommended on the blogs and sites, the thali place was quite a revelation. The place was packed with foreigners tucking in the thali and so we decided to take a lunch stopover here. 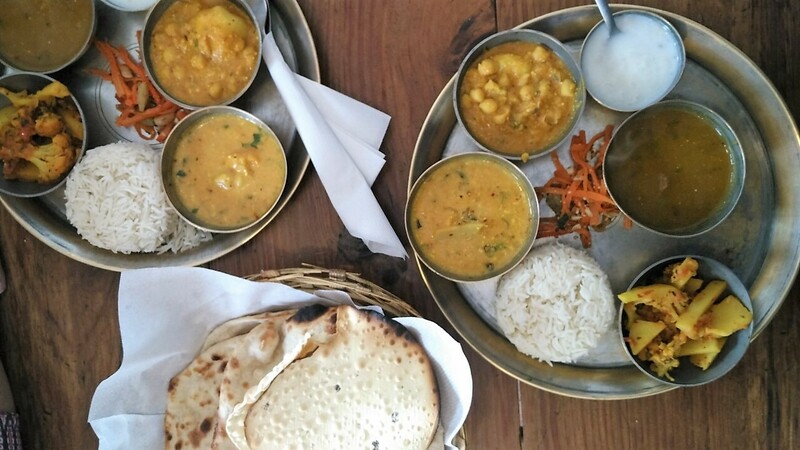 The Vegetarian Himachali Thali with its typical dishes is the must try. The thali comes with a dry vegetable, two curries – dal wadi and chana aloo in our case, kadhi, rice kheer, rice and chapattis. The tastes are very local and the meal absolutely fulfilling. The best momos that we had on our trip were surprisingly vegetarian. The temple near the market square has two momo stalls outside it. Go to the one towards Tibetan Kitchen, managed by a very cute old couple; this one is around only in the evenings. The old Tibetan lady keeps on frying the momos with a great deal of confidence and yes, they do get wiped off in minutes. The sauce accompanying the momos is one of the best that I’ve eaten; not overly spicy and full of robust flavours. 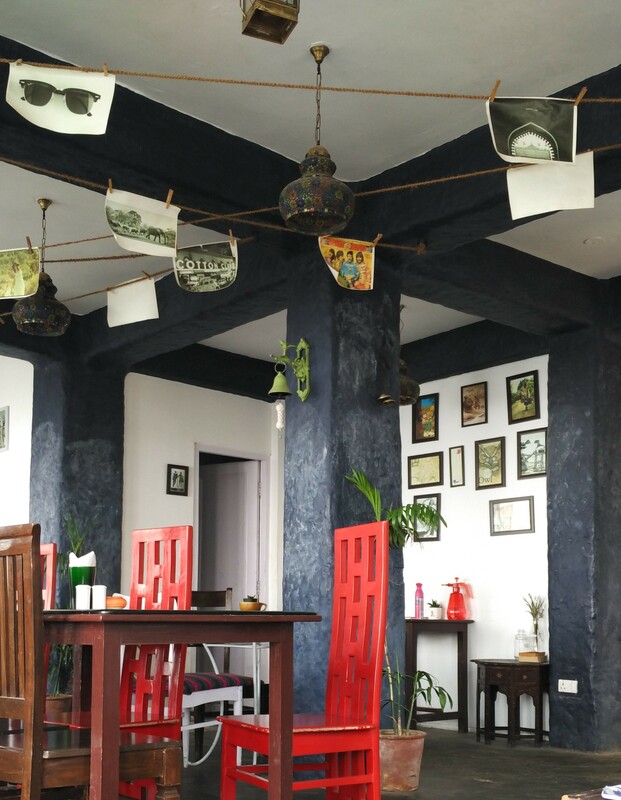 Khana Nirvana is a must visit more for its pretty decor and laid-back setting than for the food. 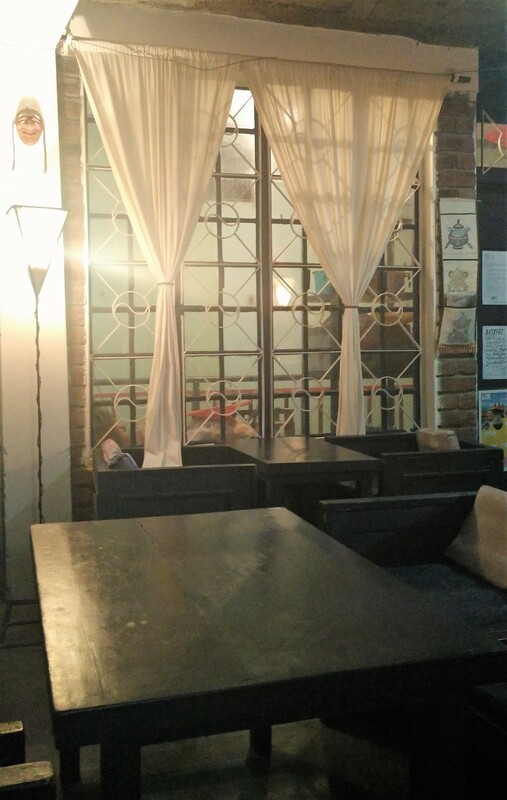 As per the information I got online, the cafe used to serve organic and vegan food but now has a bar and serves non-vegetarian food as well. They usually have offer on drinks and have a great playlist too. On your way to The Dalai Lama’s Temple, you’ll find road-side stalls selling pickles and hand tossed noodles. They stock yak sauce (which they call beef sauce), mutton pickle, pork pickle, bamboo shoot and dalle chilly pickle, yak cheese, dried mushrooms, square thukpa noodles and local spices like yema which is similar to peppercorns but has a stronger flavour. Don’t forget to carry an extra bag for the loot. 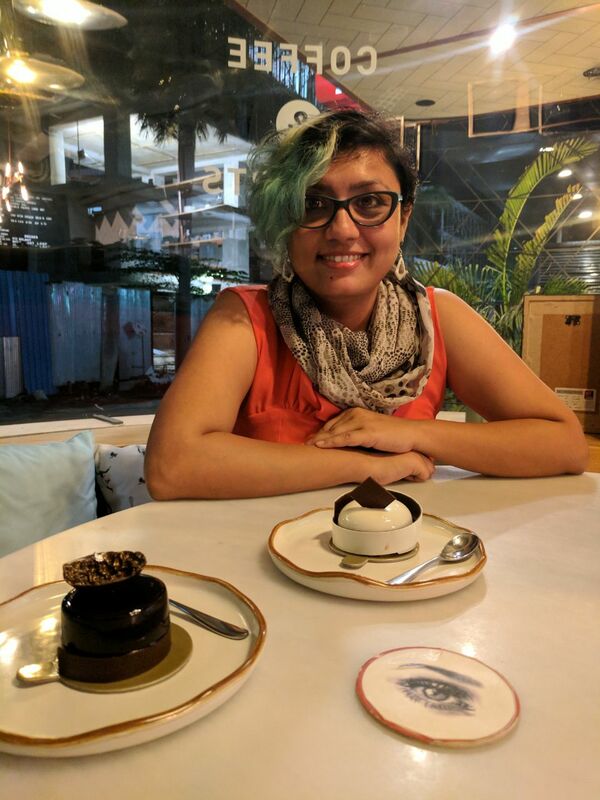 Is there a restaurant or a dish that you recommend in McLeodganj, please share it in the comments and I’ll try to check it out on my next visit. Lovely details!! Brought back the memories of delicious international cuisines available there! Thanks Shirin! Thanks Umesh. 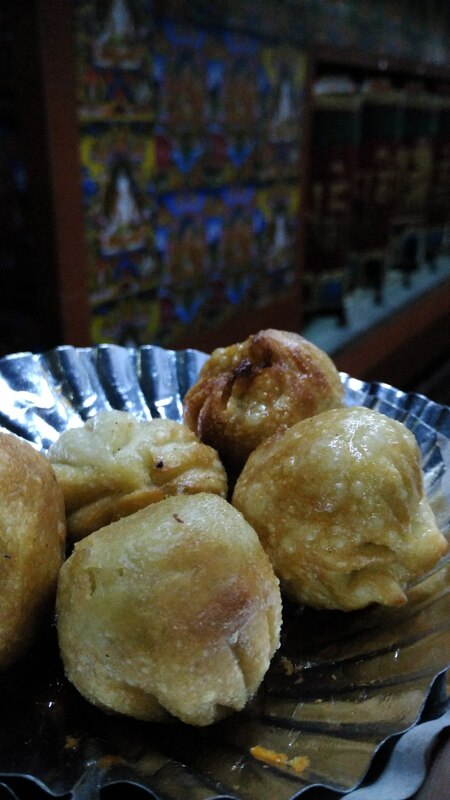 The food in McLeodganj is truly amazing. I know! So many places to try out. Will add it to my list for next time.